Celebrate FeBREWary with MD Craft Beer in Downtown Salisbury. Collect all 6 signatures and enter-to-win cool prizes! 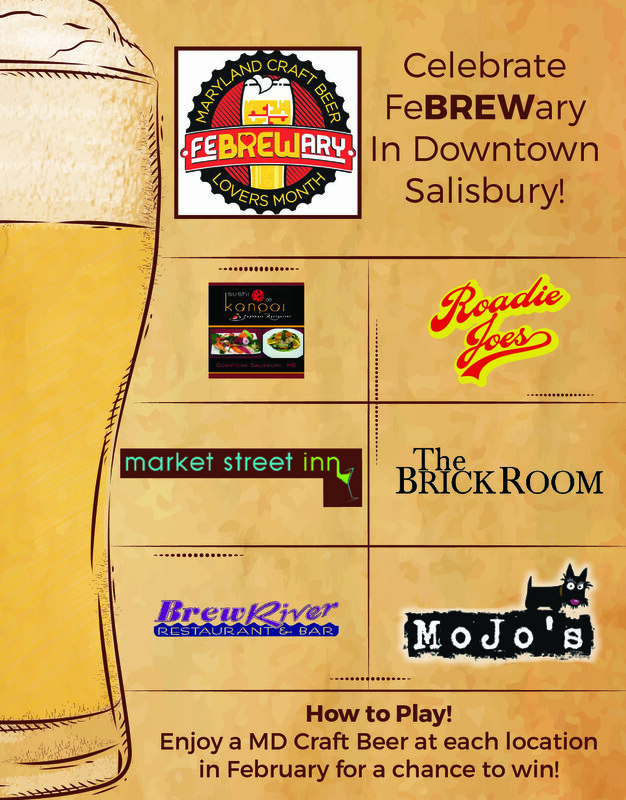 Game cards available now at the Downtown Salisbury Visitor Center, Salisbury Area Chamber of Commerce, or any participating business.